Back in October, it was reported that the Ford Ranger Raptor wouldn’t be coming to the U.S., but a source reached out to us to say it was possible there were plans to bring the next generation Ranger Raptor to America around 2022. Now Road & Track reports social media posts from Ford engineers seem to back up that claim. It’s important to note that “future off-roady offerings will have super-fast options baked into their platform DNA from the beginning” could imply that the current-gen Ranger created way back in the day when it first debuted for Southeast Asian market isn’t real, but that the next one will be. It should be noted that R&T didn’t link to the social media posts in question, nor provide screenshots or any evidence of their existence, so it’d be wise to take the report with a chef’s pinch of salt still. If what R&T saw is real, then it’s just more confirmation of what we heard back in October. The R&T report goes on to say that the next-gen Ranger is expected for 2022, which should be around the time the North American Raptor could be introduced, and it’s the same timeframe we also sort of assumed back when we first reported on the prospect of the sport truck’s future. Road & Track reached out to Ford, which declined to comment on “speculation about future products.” Jalopnik reached out about R&T’s story just in case Ford changed their minds, and we’ll update with more info when we get it. 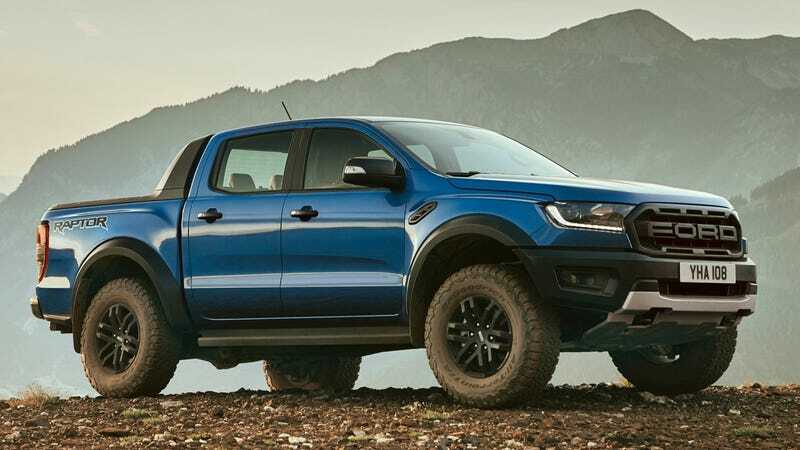 It’s nice that we can be hopeful of the Ranger Raptor coming stateside eventually, as the likely reason we won’t be getting the current iteration of the model is because it’s sold as a diesel in Europe and elsewhere. Just Raptor-ize the regular Ranger we’re getting yourself in the meantime, if you’re desperate.